To celebrate International Women’s Day 2014 #iwd2014, Mummy Barrow, Mammasaurus and Penny from The Alexander Residence are in Tanzania finding out how donations to Sport Relief last year have created female entrepreneurs and #lastingchange. The women they have met are inspiring and their stories show that the help, training and advice that they receive, through charities supported by Sport Relief, ripples out beyond helping just one person. The women they have met share their knowledge with others, they employ others, they have a positive impact on their families, their friends and the wider community. Eliafura makes the most beautiful batiks and tie dyed material. 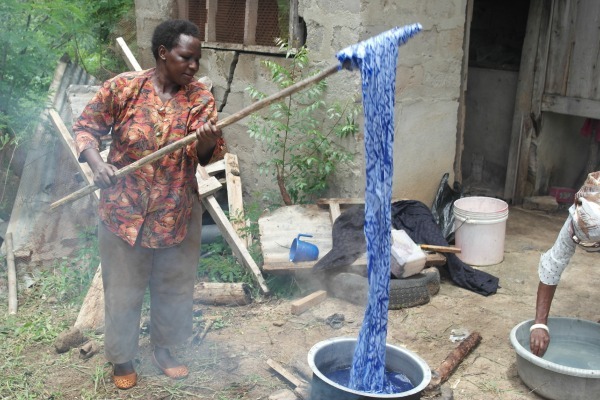 With the support of the Gatsby Trust Eliafura has registered her business and learned important health and safety rules around the chemicals she uses. Eliafura now also trains other women in the village who bring material to her and she shows them how to create these beautiful patterns. They sell easily to not only local schools where teachers like to buy them but also overseas. We bought her entire stock because we loved them all so much and are now working out how to sell them on so we can complete the circle of donation, funding, training, selling, donating. What can you do to help #lastingchange? SHARE Please RT, share and support any updates you see with the #lastingchange hashtag.